I am pleased to note that my biography of Dame Margaret Scott, Dame Maggie Scott: a life in dance, is now available from Australian book shops and from the publisher, Text Publishing, Melbourne. It is also available as an e-book from the usual suppliers. Further details and a link to e-distributors are available on the Text page. Read the back story as published in The Canberra Times at this link. Many thanks to all those who have supported me in this venture. Read another account of the launch (and opinions on other matters) on Shane Wombat’s post of 12 November 2014. The lady in the wheelchair in Mr (or is it Ms?) 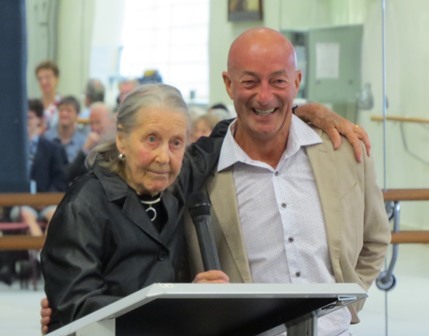 Wombat’s book signing photograph is Lucy Henty, Maggie’s much admired secretary and bursar in the early days of the Australian Ballet School. Listen to an interview with Maggie Scott recorded by Jon Faine on his Conversation Hour for Radio 774 ABC Melbourne at this link. Maggie’s voice begins at 23:22 mins. This is a particularly interesting interview for its engagement not just between Maggie and Jon Faine, but also between Maggie and Faine’s co-host, oncologist Dr Ranjana Srivastava, and his other guest on the program, former President of the Waterside Workers’ Federation of Australia, Jim Beggs. Listen to an interview with Maggie Scott recorded by Philip Adams for ABC Radio National’s Late Night Live at this link. For those who read French, listen to an interview with Penny Hueston, Senior Editor, Text Publishing, for SBS Radio at this link. Read the mention of the launch of the book by David McAllister at this link. The Australian Women’s Weekly, December issue, suggests the book would make an ideal Christmas present. Listen to an interview with Maggie Scott, accompanied by a selection of music, on the program Music Makers with Mairi Nicolson on ABC Classic FM. Please note that this interview is available online for one month only. It was broadcast on 13 December 2014. Here is the link. Read an interview with Dame Maggie Scott by Amanda Dunn published in The Age in Spectrum and The Canberra Times in Panorama on 20 December 2014. Online at this link. ‘Impeccably researched … a fascinating biography of a major luminary.’ Sydney Arts Guide, 29 November 2014. ‘A fascinating, multi-faceted read, not the least for [a] great insight into Australia during the 1940s.’ The Examiner (Launceston), 13 December 2014. ‘…a fitting tribute to an outstanding woman of influence.’ The culture concept, 19 December 2014. ‘…[among] the best memoirs of 2014 … gorgeous archival photography.’ The New Daily, 23 December 2014. 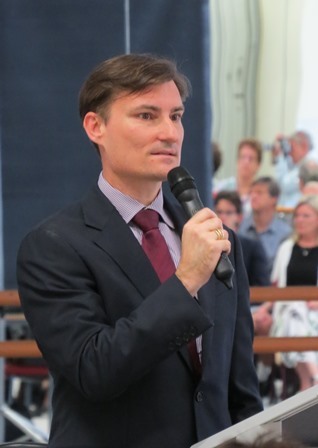 ‘There are peaks and troughs to the Life, with Michelle Potter truly excelling in the political lobbying involved in the setting up of the Australian Ballet…’ Limelight, February 2015. ‘… a most welcome and important record of a remarkable woman … a substantial book, and a valuable addition to our dance history.’ Dance Australia, February/March 2015.